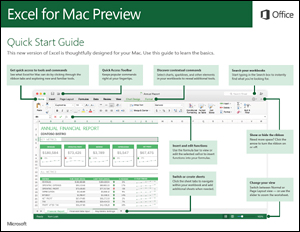 We’ve created new versions of Word, Excel, PowerPoint, Outlook and OneNote for your Mac. 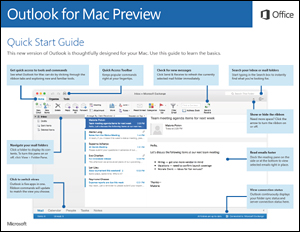 Download our free Quick Start Guides to learn the basics. 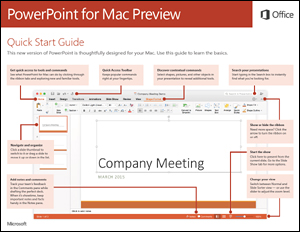 To view or print the PDF versions of our Quick Start Guides on your Mac, download and install the free Adobe Reader software. 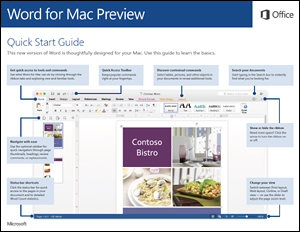 Note Office 2016 for Mac is currently in Preview and the content in our Quick Start Guides is not yet final. Text and images may not match your exact experience until the finished versions of these apps are released.